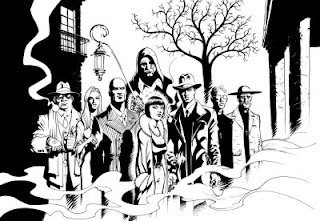 a pinup featuring several Rex Mundi characters from the beggining of the series. excelentes trabajos ! me encantaron las tapas de rex mundi...la textura le da mucha fuerza !